Kiwifruits might be native to China and not usually associated to European growers – however, Italy, Greece and France are among the biggest kiwi-producing countries worldwide, exporting to over 51 countries worldwide. What sets aside European kiwis from other countries? The mild winters and warm summers of the Mediterranean team up with traditional farming methods to grow a large and succulent crop; add a dash of strict regulatory quality control by the European Union and you get the finest natural result: a juicy, healthy and sweet fruit, grown just right just for you! The main kiwifruit variety produced is Hayward (light brown skin color/ bright green flesh with edible seeds). The average size is 70-130 grams. What are the health benefits of kiwis? Loaded with many important nutrients, Kiwifruits are a rich source of dietary fiber and is considered to be colon–protector. High levels of vitamin A, vitamin K, vitamin E and flavonoid anti-oxidants such as beta carotene, lutein and xanthin, make kiwi a healthy snack. It is also an excellent source of vitamin C and provides over 150% of the daily recommended intake (DRI) while its seeds provide omega 3 fatty acids, linked to reduction of risks of coronary heart disease. Finally, Kiwifruit provides 10% of the Recommended Daily Allowance of folic acid, or folate, essential to the reproduction and formation of red blood cells. It is those health benefits and excellent fruit quality that campaign Premium European Kiwi is set to spread the word about: a three year journey in United Arab Emirates, China and Canada brings consumers closer to European kiwifruit producers and gives them the opportunity to know more about cultivation, quality and flavor characteristics. In 2017, Premium European Kiwi campaign is visiting United Arab Emirates for the second year, in order to participate at International Perishables Expo Middle East (WOP Dubai) from 5 to 7 December, meet local opinion makers and raise awareness on the premium quality of kiwifruits coming from Europe. In the past two years since its launch, the campaign has travelled to United Arab Emirates, China and Canada, participating to trade shows, organising promotional events and outdoor advertising as well as point of sales promotion in local supermarkets. For the next period, the campaign is organising instore promotions in major super markets of Dubai and Abu Dhabi, as well as many more promotional activities for HORECA professionals and the general public. 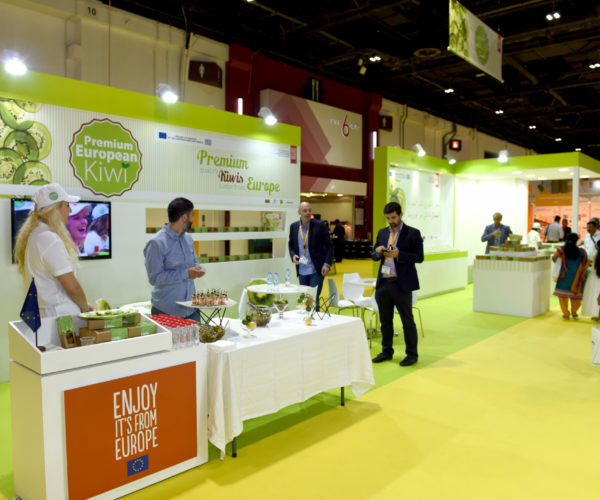 Kiwifruits from Europe are available in United Arab Emirates from October to May. Ask your supermarket for European kiwifruits and enjoy a delicious and healthy snack everyday! 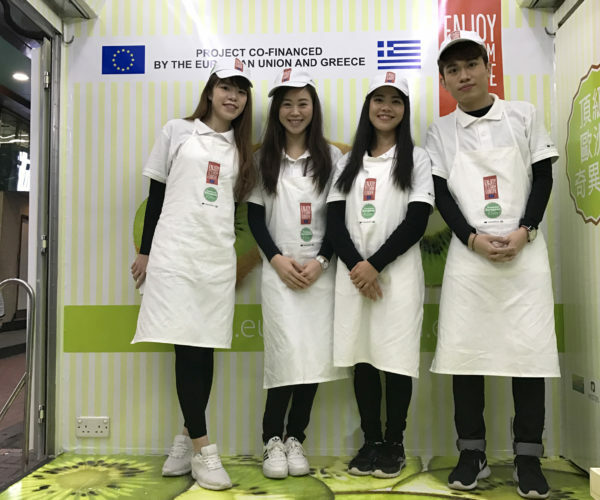 The campaign “Premium European Kiwi” (www.europeankiwi.eu) is funded by the European Union and Greece for the promotion of kiwifruits in Canadian, Chinese and the United Arab Emirates’ markets. The campaign is implemented by the consortium of producers: Agricultural Cooperative of Chrisochori NESPAR, Agricultural Association NESTOS, Alkyon SA, and Goustera SA. Download our free iOS/Android Application Premium European Kiwi and learn more about how European kiwifruits are cultivated, how they can boost your health and how to include them in delicious recipes!